The BSA Cricket Club started life in 1969 as a Bournemouth School staff team, which played games mid-week and on Sundays either at Castle Lane on the school ground or in the surrounding countryside, often in close proximity to a country pub. As time passed and staff left or got older, the club opened its doors to include parents of pupils. 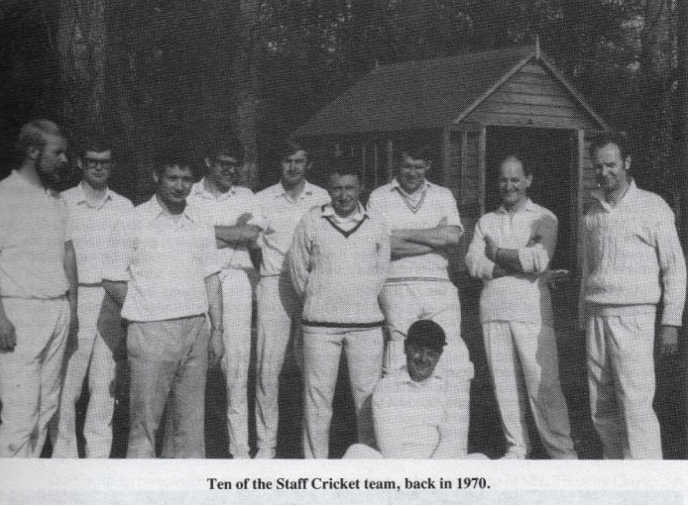 With the further passage of time the staff element of the team disappeared completely and the remit widened further to include Old Boys of the school, which is mainly how the club operates today. If there are any Old Boys out there who would like an occasional or regular game on a Sunday afternoon (no mid-week matches these days) please get in touch with Graham Jones, BSA President, on 01202 248211. We play most of our matches away, within an hour of Bournemouth, with a rare home game at Hurn Bridge Sports Club. We play most Sundays excluding Bank Holidays.